Superdry men’s Ski Dog scarf. Wrap up this season with the Ski Dog scarf. Featuring a stripe design on both ends and Superdry logo badges above the hem. 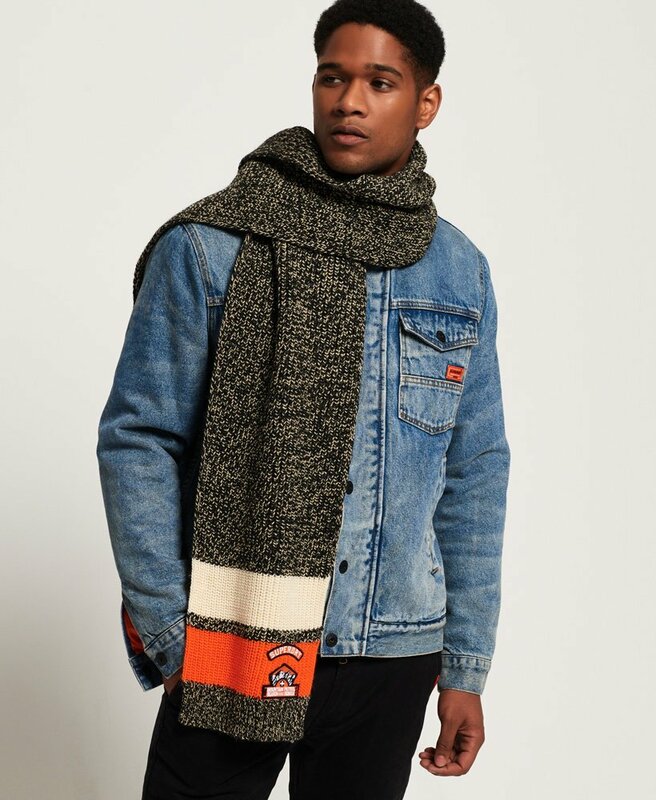 This scarf is the perfect companion to a military jacket.